Unless you've been hiding under a rock or are new to the PC hardware scene, you'll likely know Arctic and its long-standing focus on and relative success with CPU cooling. It traditionally offers excellent value across the range including with its recent foray into liquid cooling too with the Liquid Freezer 120. Its latest air coolers jump on the eSports bandwagon, but aside from slightly racy looks, the Freezer 33 eSports One is simply a compact affordable air cooler that's a lot like Arctic's other coolers. That's not a bad thing though. At just over £30, this is clearly aiming for prime time, as there are numerous coolers aiming at everything from a Core i3 to an octa-core Ryzen 7. In fact, the Freezer 33 eSports One also sports LGA2011 and LGA2066 support, but how it fares with our monstrous Core i9-7980XE remains to be seen. 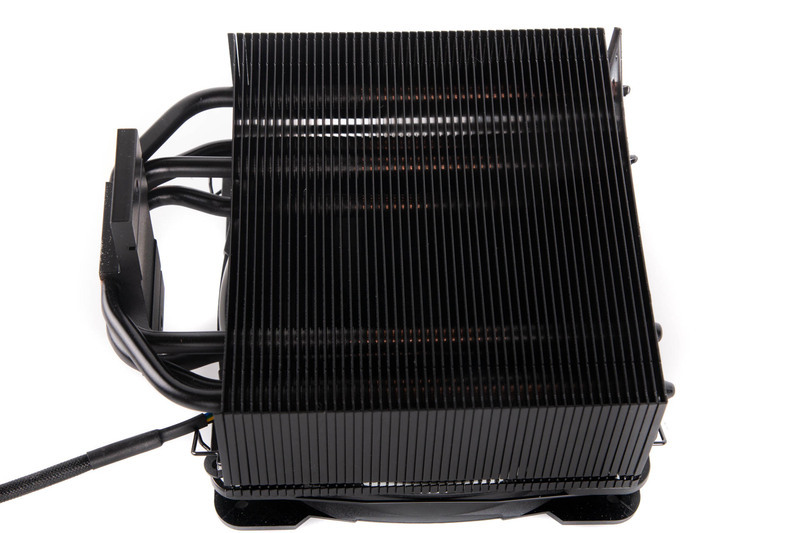 At 150mm tall, this is a fairly compact cooler that will likely be one of the better options in height-limited cases unless you spend more and go for an AIO liquid cooler. A single 120mm fluid dynamic bearing fan is included in the box, which spins up to 1800rpm with a noise rating of 0.5 sone, which is roughly equivalent to 24dBA. As this is PWM-controlled and can dip down to just 200rpm, when your PC is under low loads, you'll likely not hear it outside your case. Arctic has also been kind enough to include clips for a second fan as well as an additional port on the 4-pin PWM cable so you can easily convert the Freezer 33 eSports One into a dual-fan, push/pull cooler by adding a second 120mm fan. The quad 6mm heatpipes make direct contact with the CPU and there are minimal gaps between them too. You get a small pouch of Arctic's MX-4 thermal paste, which is enough for a couple of applications. Installation is a tad fiddly, though, with pins passing down through plates that screw to the cooler before securing to backplates for LGA115X and AM4 or LGA20xx socket threads. As the screws aren't fixed into the plates, you'll likely find it much easier to install the cooler with the motherboard out of the case, or at the very least laid on its side. It's a secure mount, though, and there are relatively few parts to deal with. The heatsink is finished in black with 49 fins stacked fairly densely with folded edges to direct airflow. Arctic claims a recommended maximum CPU TDP of 200W, so this should be fine with mainstream overclocked CPUs and stock-speed HEDT CPUs, while overclocking the latter will quickly see the Freezer 33 eSports One's cooling power become stretched.